I’ve been working with Christian Rödelsperger on some new methods for asking specific question about networks, and using the C. elegans nervous system data as a test case. 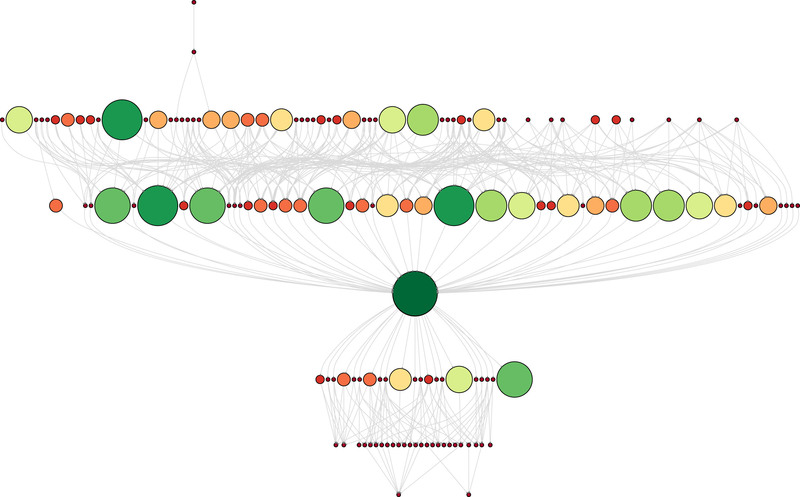 I just wanted to share an early version of the kind of network graph that will be resulting from the analysis. Pretty cool! The center node is what the analysis focuses on, above it is all of the information flowing into it, and below it all of the information flowing out of it. The graph was made using Graphviz and then modified using Adobe Illustrator. For a larger version, look HERE.